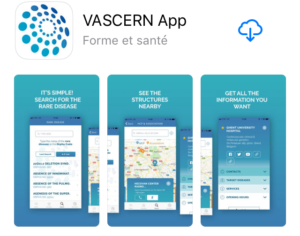 As part of our multiannual action plan, the VASCERN eHealth Working Group has developed a free Mobile Application in order to enable patients and doctors to find and easily access all VASCERN Healthcare Provider (HCP) Members and Patient Organisations in Europe. The app is now available on both IOS and Android! 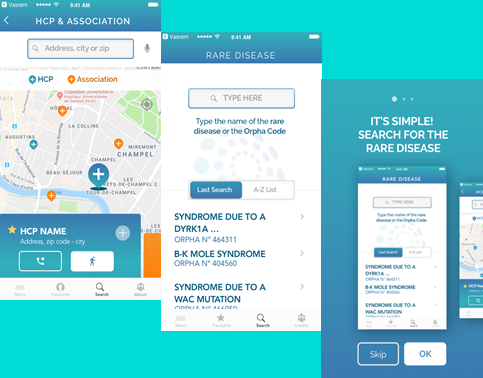 The VASCERN App was officially launched in January 2019 and is available in the Google Play and Apple Store. 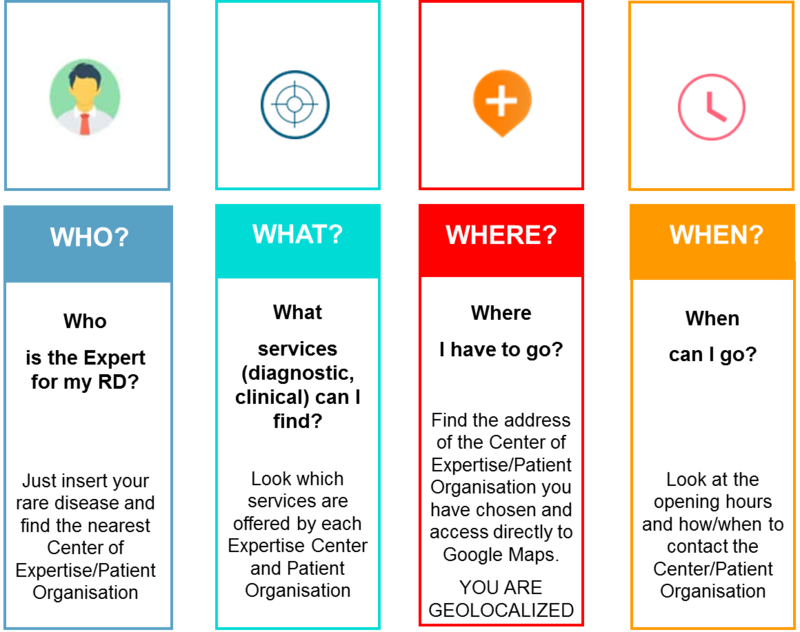 This is the first version of the VASCERN App. It is currently only available in English, however, translation in all EU languages is a project for our third year of activities, as well as adding new features to the Mobile App (version 2.0; 2019). The App currently contains the data of 37 expert centres in our 31 Healthcare Providers Members and 40 ePAG Patient Organisations. 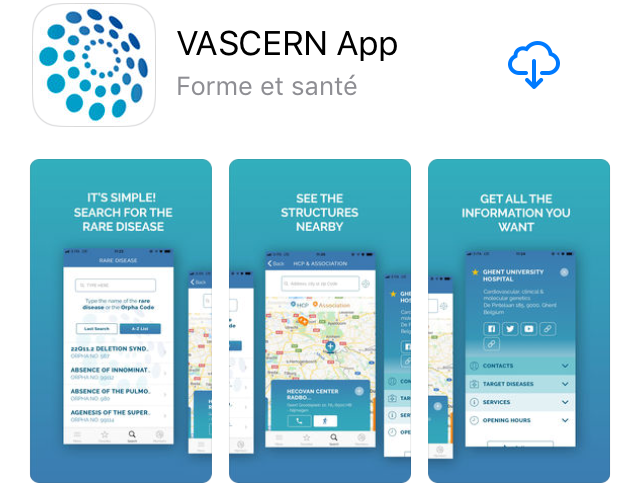 VASCERN App is a modular platform, that will be developed incrementally during the VASCERN lifetime through progressive updates and inclusion of new services as well as new HCPs and Patient Organisations from all over Europe as VASCERN expands.